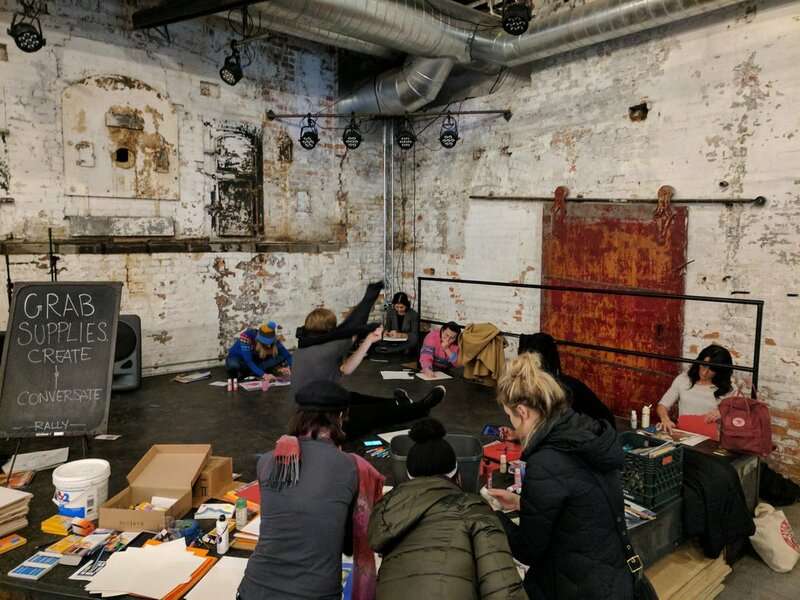 What started as an impromptu call for the community to share and create art that reflected their feelings about the election, ended up to be RALLY, a cathartic exercise in expression through art. 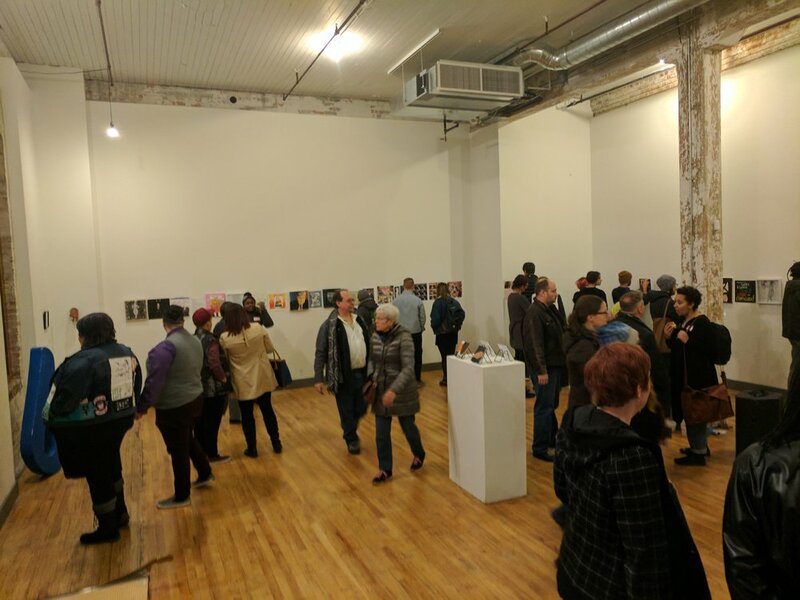 Starting December 5th we opened the Terrain Gallery to the community on four different occasions, ending with a total of 150 unique paintings, drawings, poems, statues, and masterfully-crafted collages from first-time artists to full-time professionals. We were pleasantly surprised by the turnout at each event. 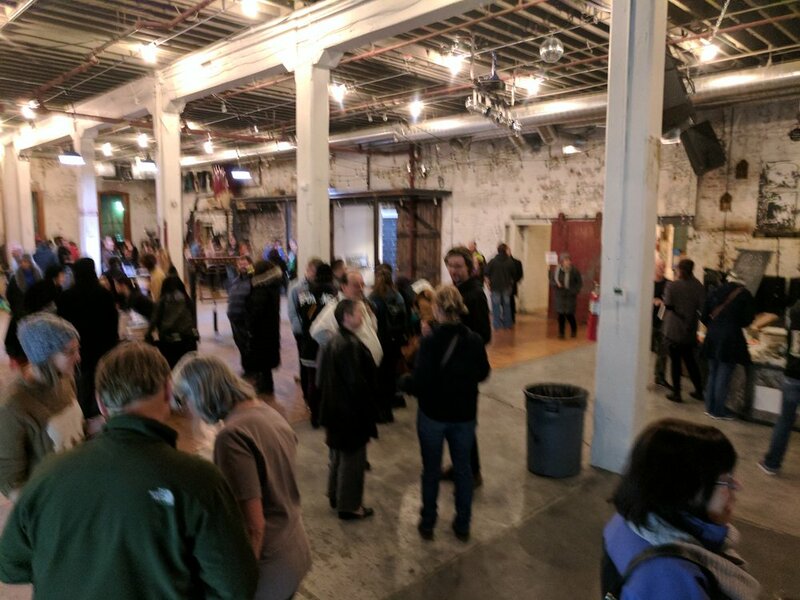 Most of the pieces that filled the walls of the Terrain gallery were made the night of the events using donated supplies from generous art professors, teachers, and community members. 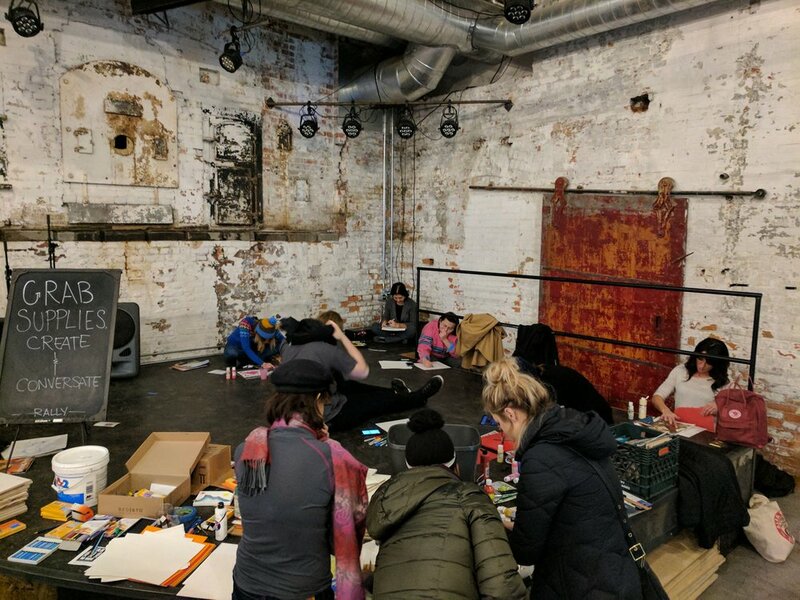 At each event, strangers sat next to each other, talked to each other, and held space with each other while making art. 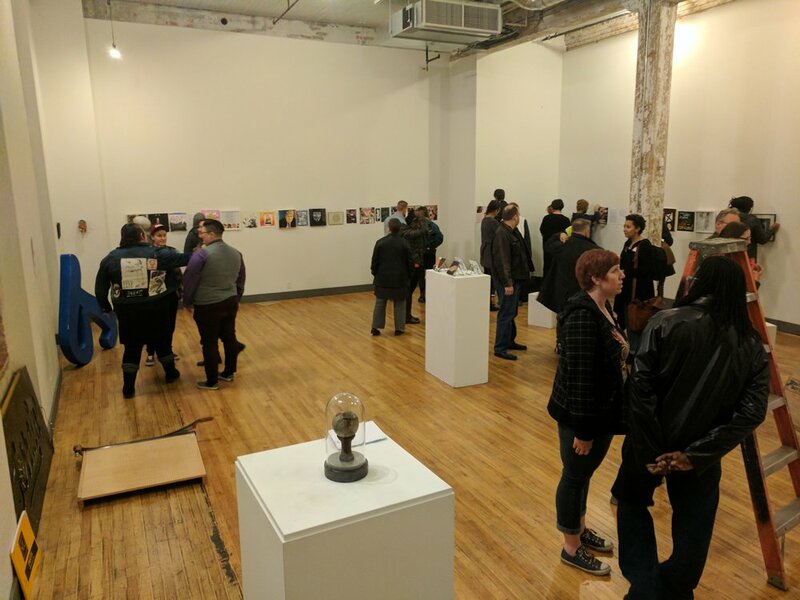 The best part of the event was giving those who didn't identify as "artists" a place on the gallery wall. 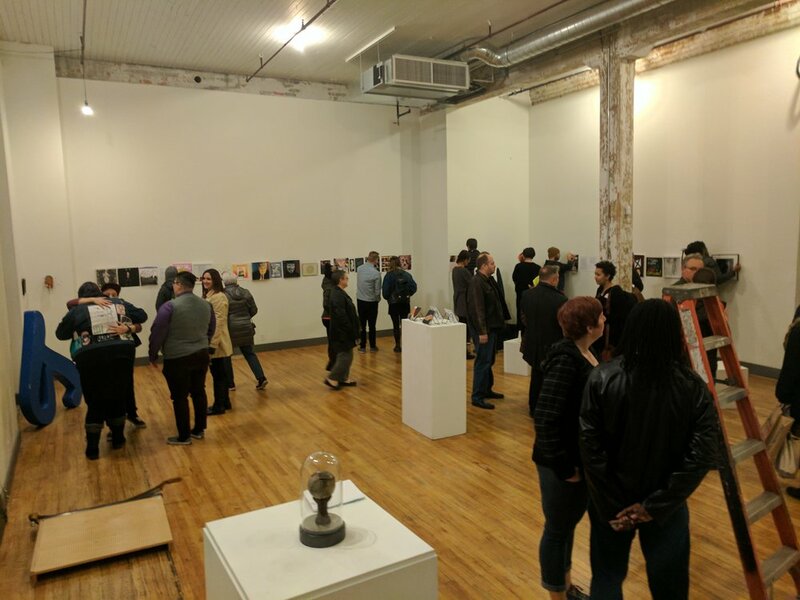 It was amazing to see the excitement on people's faces when they realized that their work would be on display for several more community events. Chase Youth Commission also partnered with Terrain to set up their Dear World Initiative where attendees were invited to write a message to the world on their bodies and then pose for a picture to be shared publicly. Click Dear World Initiative to view these photos. RALLY depicts art that shows where our society is at this given point in time. 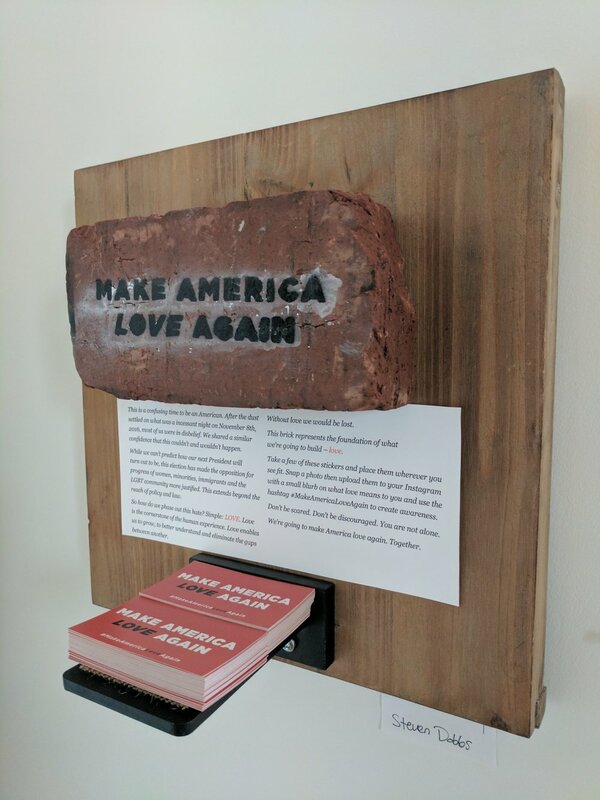 After many questions of what was to happen with the art after the show, we have decided to document all the pieces to create a digital archive. If you were an artist with a piece on the wall, the art pick-up date has been moved to February 13th and 15th, 5-7pm.